Radon is a radioactive gas that naturally occurs in soil. Some homes contain high levels of radon inside them which are deemed unhealthy by the EPA. Since there are some serious health problems caused by radon, it is important to have your home tested to make sure that the levels are safe. Here’s what you need to know about the dangers of radon exposure. 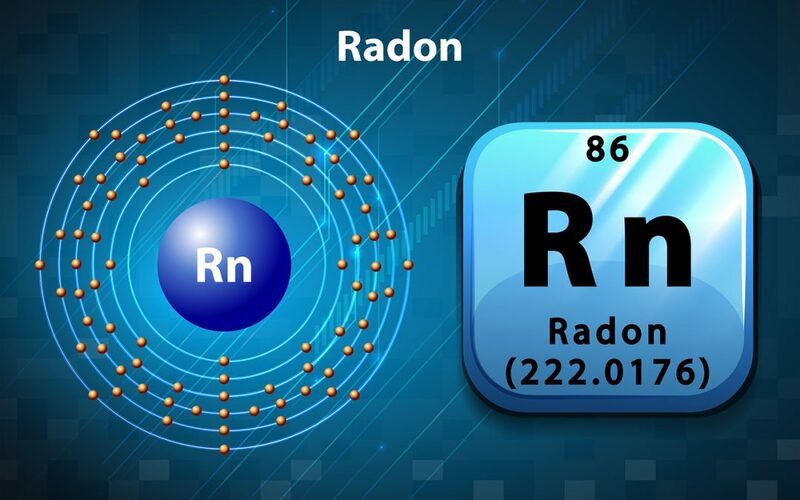 Radon is a gas that is produced when uranium, thorium, and radium decay in rocks and soil. It can collect in structures without ventilation or areas directly situated above soil with high radon levels. Since radon is colorless and odorless, the only way to know if radon is present in the home is to have your home tested. Professional radon testing will give you an accurate idea of the amount of radon in your home. Radon is a highly carcinogenic element that can be breathed in during daily life. When radon is inhaled, it decays into radioactive particles that damage the lung cells and raise the risk of lung cells becoming cancerous. According to the National Cancer Institute, radon is the second leading cause of lung cancer throughout the United States. Over 20,000 deaths each year are due to radon-related lung cancer. Radon is particularly likely to cause cancer if a person is a smoker, but even nonsmokers can get lung cancer from breathing in radon. Since children tend to have a higher respiratory rate than adults, they are more likely to suffer from the effects of radon. This leads to overall higher risks of lung cancer, and it can also cause cancer to develop in other areas. Children exposed to high levels of radon tend to have a higher frequency of fragmented and aberrant cells that increase the risk of a cell mutating into a cancerous cell. This may result in higher rates of childhood cancer, particularly childhood leukemia. Leukemia is a type of cancer of the blood that causes the body to produce excessive amounts of abnormal white blood cells. The health problems caused by radon are not just limited to increased risks of cancer. Any time a person inhales radon, it can cause inflammation that results in various respiratory illnesses. People who regularly breathe in too much radon can end up developing pneumonia, bronchitis, and other chronic lung conditions that make it hard to inhale enough oxygen. If a person already has asthma, they may find that being in an environment with high radon levels can increase the frequency of their asthma attacks. Whether you’re a home buyer or a homeowner, it’s important to make sure your home is healthy for you and your family. If a radon test detects high levels of radon, you can have a radon mitigation system installed to reduce the concentration of the gas in your home. Also, it’s a good idea to periodically test for radon since the levels may fluctuate over time, particularly if you’re located in an area known for high levels of radon in the soil. Knight’s Shield Home Inspections provides professional radon testing and other home inspection services to Central Georgia. Contact us to schedule your appointment.